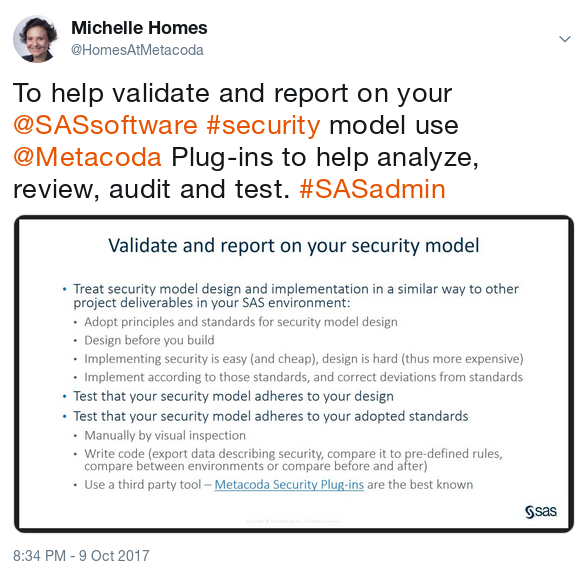 Have you heard of the SAS® Security Model Design Eight Golden Rules? 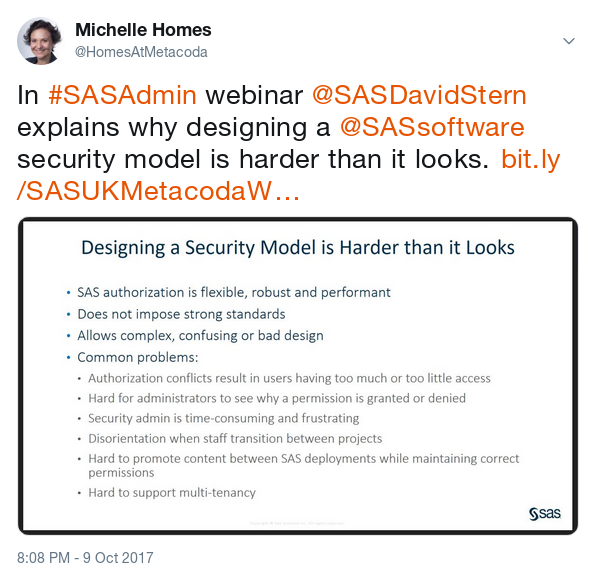 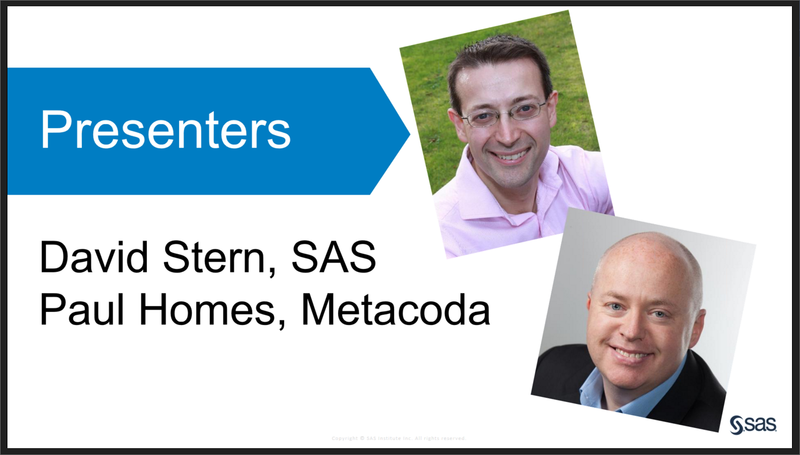 If not, we first recommend reading the SAS Global Enablement and Learning (GEL) Five papers on Recommended SAS 9.4 Security Model Design (part 1 & part 2) These papers, provided by David Stern, are an excellent resource for SAS customers and partners to use when designing security for their SAS platform implementations. 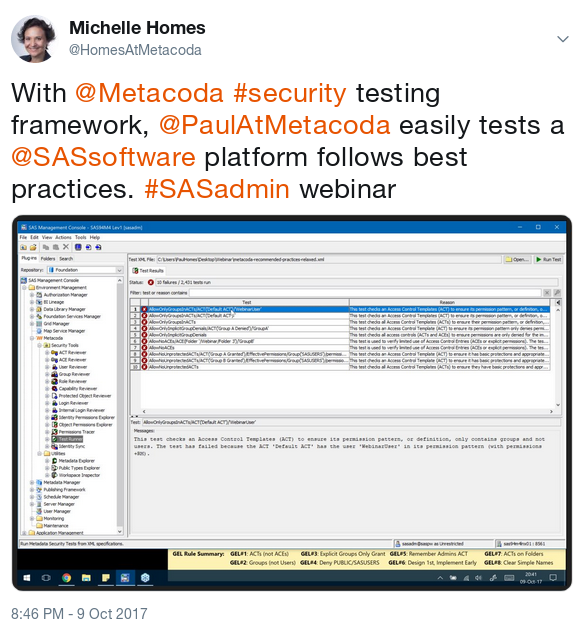 If you’d like to find out more about the Metacoda Security Testing Framework and perhaps try it out in your own environment, then leave a comment below, send us a message, or register for a 30 day free evaluation to try out the software in your own environment.